Sydney Family Law Specialists Pty Ltd was proudly opened by Legal Practitioner Director, Sonia Collins. Sonia is an Accredited Family Law Specialist and brings with her a wealth of family law experience to ensure that your rights are protected and that the best outcome is achieved for you and your family. Sonia graduated from the University of Sydney in 2003 with a Bachelor of Arts (Social Policy and Sociology) and Bachelor of Laws with Honours. In November 2002 she held the position of Deputy Associate to a Federal Magistrate at the Federal Magistrates Court of Australia (now the Federal Circuit Court of Australia) where she undertook extensive legal research on complex family law issues and gained a solid knowledge of the Family Law Act and family law practise and procedure. Since her admission in 2004, Sonia has practised exclusively in family law and has worked for a variety of boutique family law firms, both in New South Wales and Western Australia. She has regularly appeared in a variety of courts including the Family Court of Australia, the Federal Circuit Court of Australia, the Family Court of Western Australia and the Local Court. Mental health issues and domestic violence. Sonia has been involved as a mentor in the mentoring program run by the Law Society of New South Wales and regularly provides free legal educational seminars to counsellors, psychologists and other health practitioners. Sonia is dedicated to providing a client focused and flexible legal service, which takes into consideration her client’s individual needs. She is able to assist both privately funded and legally aided clients. 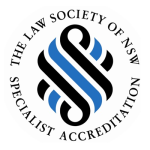 Specialist Accreditation is a structured peer to peer assessment process enabling legal practitioners to be recognised for their expertise. To be accredited, specialists must pass a series of meticulous assessments on both legal knowledge and its application in practice. To retain their accreditation specialists must undertake significant additional professional development in their area of expertise each year.